This post is created from an interview with RCMP Assistant Commissioner James Malizia (file photo above) as published in the National Post (front page) June 7, 2017. (Link here). The following edition is modified slightly with the word terror being replaced with the word crime. Making this simple change leads to an entirely different perspective in the article. 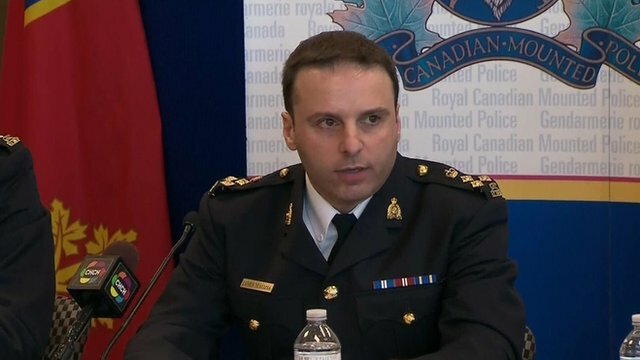 To my mind, this suggests everything the Assistant Commissioner had to say about terror serves only the interests of the RCMP and other security agencies and not the interests of the general public. As background, in 2015 (the most recent year readily accessible) there were over 380,00o violent criminal acts in which 605 people were murdered, with attempts being made to murder a further 774. Over 200,000 people reported aggravated sexual assaults (this does not include other aggravated assaults), with 22,000 reports of robbery and 3,500 reports of abduction. When these real-life criminal cases, which present a clear and present danger to Canadians, is cast against the almost negligible possibility of a terrorist act occurring, it makes it seem as if the Assistant Commissioner has no concept of how trivial his suggestions are.